Civil War Era Dance, with Mean Mary – Learn simple dances from the Civil War era, starting with an 1860s Virginia Reel. All levels and ages welcome, no experience or partner necessary. Dance Try-Its, with Jon and Sue Hanson – Your chance to try out some simple and fun traditional dances. 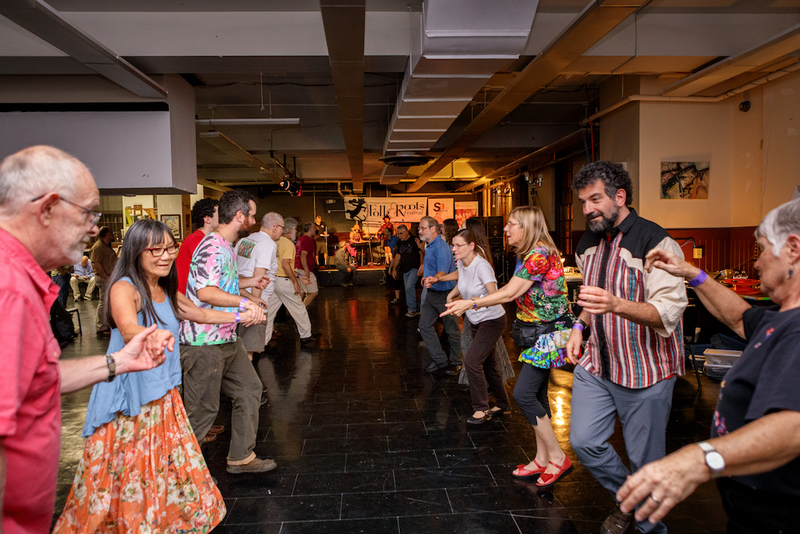 These might include English Country Dance from the Renaissance, a Scandinavian waltz, Contra dance from the 1800s, or a simple modern line dance. Some of the dances will be with partners but the session will be pretty gender free and easy enough for kids or adults. If you would like a sampling of dances you can do with recreational dance groups in the Champaign-Urbana area, don’t miss this! Family Dance/Percussion Craft program at the Urbana Free Library – Join the library staff on Friday night, 6:00pm-7:15pm (on the main floor by the coffee shop) for an evening of movin’ and groovin’ for the whole family. We will be making a host of percussive instruments in preparation for our very own dance party to celebrate the festival! Girls in Motion (praise dance for young women) – For girls, ages 5-17 years old, who are excited to learn lyrical style dance, meet new people, and build a sistership. This group meets regularly at the IMC and is open to public participation during the festival. Swing Dance, with Swing Chevron – Come dance to the vintage hot swing sound of this great band! Rumor has it that members of the Illini Swing Society will be in attendance.